Inkjet Printers | PAK Automation Ltd.
Hitachi Industrial Ink Jet Printers are suitable for use in a wide array of industrial production applications and will print clearly and precisely on any product’s packaging. As the printing is non-contact it allows you to print onto rough, uneven and soft surfaces from any direction. 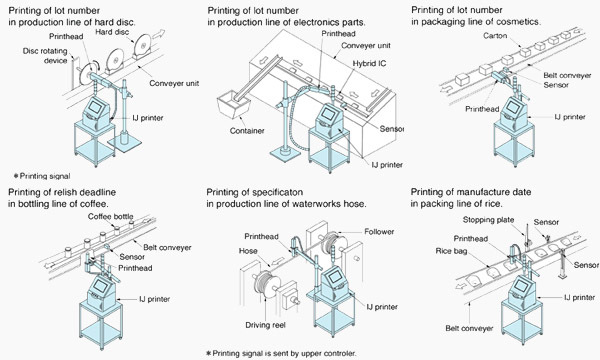 Hitachi Inkjet Printers are applicable to various production lines.